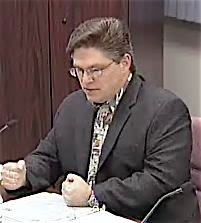 Over the weekend I finally watched my tape of the Costa Mesa City Council Study Session from Tuesday, May 13th. I'm glad I did, because if I had relied on the "report" from one local blogger about the proceedings I'd have had a very different opinion of what occurred. CMPD Captain Les Gogerty provided a brief overview of the current gang program in Costa Mesa - a program that focuses on enforcement since the council rejected an element that would have addressed the intervention/prevention segment a year ago. Deputy District Attorney Tracy Rinauro, whose full time job is working on gang intervention/prevention, did an excellent job of giving information on intervention activities in Anaheim and, quite recently, San Juan Capistrano. Many of those program elements she discussed sounded like they might be effectively used in our city. One thing is sure - Mayor Eric Bever and Councilwoman Katrina Foley continue to be flint and steel. The tension between them was palpable during the presentations by Gogerty and Rinauro. It was clear to me that Bever has no interest in doing more on the gang issue until results of the enforcement-only policy can be quantified. This is a typical response by him and his pals. Their solution to a gang problem is to rid our city of anyone who MIGHT become a gang member. You can translate that to mean anyone with brown skin. It was obvious that Bever was angry because Foley had requested the information that was presented to the council in the Study Session. It's one more example of how the so-called "improvers" want to control the information available to residents. Costa Mesa resident Dr. Humberto Caspa, author of the new, hot-off-the-presses book, "Terror in the Latino Barrio: The Rise of the New Right in Local Government", will be interviewed Wednesday morning, May 21st on radio station KPFK, 90.7 FM from 8-9 a.m. For those of you able to block off that hour Wednesday morning I suspect you'll find Dr. Caspa's comments of great interest. LOC AL BLOGGER LOSING IT? Speaking of local bloggers, I'm not quite sure what's going on over at the CM Press. I fear the poor guy who owns it may be showing signs of early dementia. Twice in the past month he has used duplicate numbers for his entries - number 330 and number 366 each had two separate entries using the same numbers. In the most recent edition of #366 he used a big chunk of his text to tell us all what a wonderful, interesting life he has had. I wonder if he did that as a memory jogger - because he's forgetting who he is these days. New bloggers "Mr. & Mrs. John Smith" over at the CM Watchtower continue to post strange entries. Twice this month they've made claims of being the "Best Local Blog Around", yet provide no source for that acclaim. I have this mental image of them saying, "You're Number 1! No, you're Number 1!" I'm still not sure what their focus is - they seem to dislike almost everyone. Perhaps, as the campaign season approaches, we'll get a better idea of what they think will improve our city. I'm not sure just who these folks are, but I think I've got a good idea. More on that at a future date. And, over on the SantaAnaCentric Orange Juice! blog, the infighting continues. In a Herculean effort, they changed platforms over the past week or so. The new look is going to work, but it appears to be a much more labor-intensive effort. Time will tell. In the meantime, spats continue between their various contributors. Watching them argue back and forth, accusing each other of deleting comments and posts, makes me very happy that I'm a Lone Ranger here. The City Council meeting Tuesday, May 20th, promises to be very special. Scheduled events include the Pledge of Allegiance and National Anthem by the All American Boys Chorus; presentation of Vanguard University's National Champion Women's Basketball Team; proclamations for both Killybrooke and Sonora schools for academic achievement and topped off by the recognition of city employees who reached 25 and 30 years of service. Whew! After that the remainder of the agenda will be boring with a capital "B". I dont think CM will get a gang-injunction & i hope it does not. The other cities the injunctions have been used w/ the exception of SanJuan were in neighborhoods with an extreme level of gang activity & violence which CM does not have. The injunctions might stop some of the crime but not the majority. The city of Westminster was the 1st in OC to use it. Santa Ana also used it in a neighborhood that is still regularly covered with graffiti from the local gang & has not decreased the level of graffiti. And of course Anaheim has used it the most effectively in OC thus far, but still has not rid the area of gangs what so ever. Why do you think they haven't been working? Is it a lack of effective enforcement, or a bad strategy in the first place? I've read the Sheriff and DA descriptions and news stories, but have no idea how they actually work in real life. mr. dickson there are many reasons. 1. An injunction does not make the problem disappear. It puts a bandaid on it. The police would have to be on location 24-7 to enforce it. 2. Most kids, and i say most, join gangs for recognition. For that reason if you happened to be a member of the gang who had an injunction put on it, it would validate that your gang is the baddest, the craziest whatever. That is why the news paper is at time reluctant to name the gangs that have had injunctions put on them. 3. Say you & your brother or sister or cousin for that matter were members of the same gang & documented as such. Technically even if you were at the local park with your parents you would be breaking the law, if that park was of course inside the designated safety zone the injunction covers & you could be taken to jail. Some will not view this part of the law as a negative but it indeed is. 4. Gangs are often at war with each other & view injunctions as just another war. In Santa Ana for example the injunction has curtailed violence to some degree but has seen an increase in other aspects. For Example in 2006 SA saw a 49.3% decrease in gang specific crime in the 1st (3) months of the injunction. That is to be expected since the injunction provides a new tool to get documented gangsters off the street. What these numbers dont show is that the jail time is not often extensive which means they will soon be back on the street. While CM does indeed have gangs it's gangs are nowhere near the scope of Santa Ana gangs & based off what is required for an injunction i feel CM would have a hard time proving it's case & even if it did succeed which neighborhood would you suggest for an injunction? It would have to be based in an area know to be claimed by a gang, not just an area with a few gangsters & associates living in it. Based off that fact alone i again think it would be a hard fought case. Santa Ana has many gangs & only one neighborhood has had an injunction put on it & that injunction covered approx 134 documented members of that (1) gang if that puts it into perspective for you a little bit. 5. The one part of an injunction i agree with but think can be accomplished w/o it is the outreach programs that come with it. Outreach is proven effective & the more kids that our subject to outreach will be less likely to join a gang. Gangs have become part of our culture & were around before latino gangs. The more kids who don't join the less members they receive, it's simple. 6. Santa Ana's crime was the lowest ever in 2007, That is due to community based policing that our city USED to implement. Santa Ana has been on a steady roll with gang enforcement for many years now. It's based off a few simple things such as the Police Activity League, The use of Target Teams(a tri agency team stationed inside the SAPD), Street Terrorist Offender Program, graffiti task force, early prevention & intervention commission, homicide reward program & many more. But the bottom line it's working & has been. Thank you!!! We should try more of Santa Ana's coordinated approach. Our cops need every tool they can to get rid of all the gangs in Costa Mesa. you seem to have an inside track of some sort what gives? Who are you? Have you thought about running for council yourself? Mr. Dickson our former Police admin was using the same approach as Santa Ana, this right before CMPD suffered severe moral problems when it was thrown an inept Chief who was a puppet for our current city council. CMPD also used Target teams & it was working.